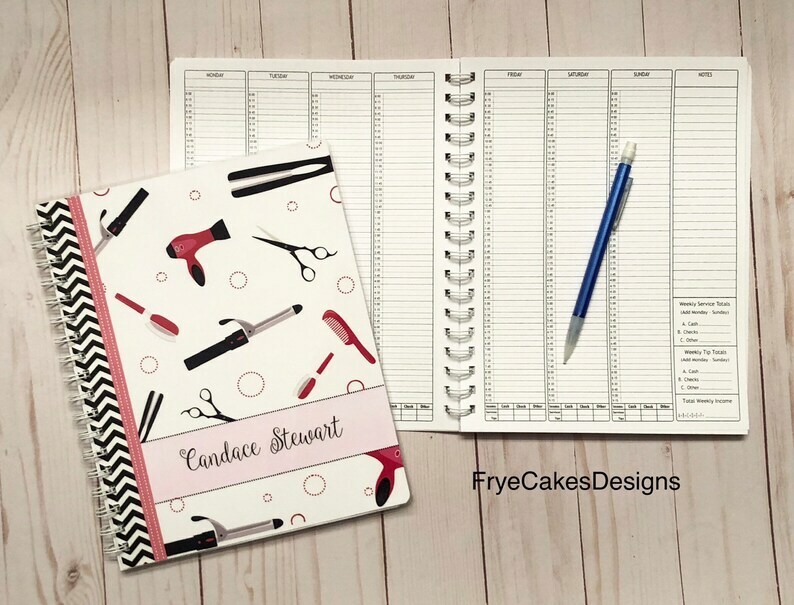 This yearly appointment book with Income Tracking and Optional Expenses Tracking is perfect for your business. This is a new mid-size which is ideal if the large size is too big and the mini size is too small. Option 2. UNDATED (with the days of the week at the top). - 7 day layout starts on Monday and ends on Sunday. - Daily Income Tracking at bottom of page. - Weekly Income Tracking on size bar. - Daily Time Frame goes from 8:00 a.m - 9:15 p.m.
- Optional Expenses Section Available. Option 3. PLAIN - does not include Days or Dates at the top and does not include income tracking or Expenses option. - Notes Section on size bar. - Daily Time Frame goes from 8:00 a.m - 9:30 p.m.
*Back Cover (plain white) can be laminated for $2 extra. If you would like this option you have to use the Add-On Option available in my Etsy store and add it to your cart separately. - Materials Used: Laminated cardstock front cover. Heavy weight quality paper (you can erase writing in pencil and it won’t be affected). Chipboard back cover unless laminated back cover is purchased. This book, the design and its contents are Copyright Protected. Copying this will be reported. NEW MID-SIZE!! 9 1/2" x 7 1/2". Dated or Undated Yearly Appointment Book with Optional Expenses Tracking. Nail Tools Design.